You can enable/disable bottom footer (that contains the copyright information or any text/HTML your provide). 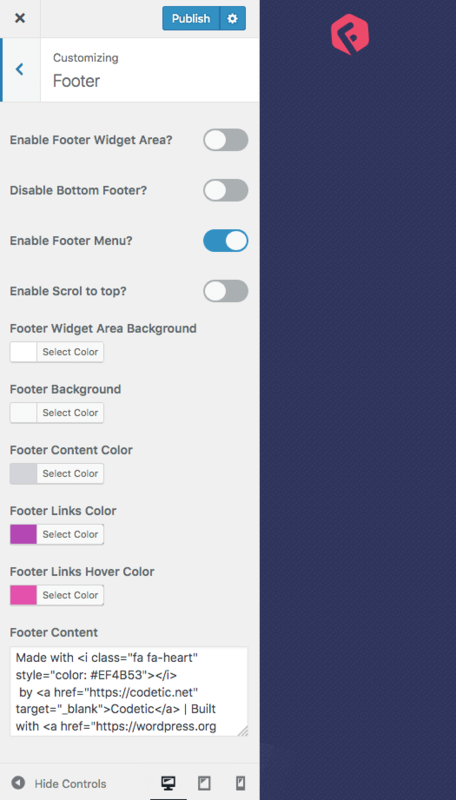 You can enable Footer widgets and set the widgets from Appearance > Widgets > Footer Widgets. You will see lots other options to configure here such as “Scroll to Top”, “Footer Menu” and so on. Flexia gives you the control to configure them completely.